Here’s the fantastic new cover for Echo of the High Kings, produced by the talented Zoe Frasure! 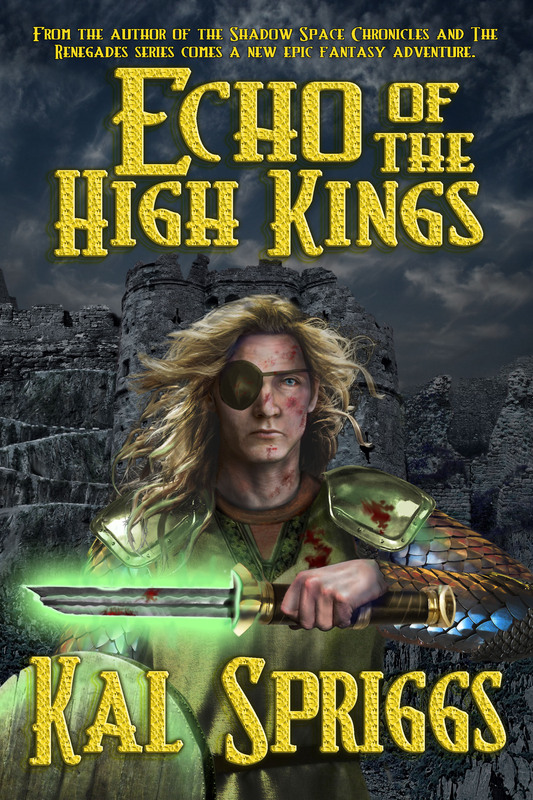 As a reminder, Echo of the High Kings is available from Amazon now, and I’m doing a giveaway with the details found here. The audiobook is on track and should be available by the 11th of October. The Shattered Empire, coming October 25th! I’m happy to announce that The Shattered Empire, Book II of the Shadow Space Chronicles, sequel to The Fallen Race, will go live on the 25th of October. As a part of it going live, I’ll be doing a book bomb at noon on the 25th. The book is available for pre-order on Amazon and will be available for preorder through Smashwords to Kobo, Barnes and Noble, and Apple’s store soon, as well. Read below for details on The Shattered Empire. The Shattered Empire is available on Amazon here.